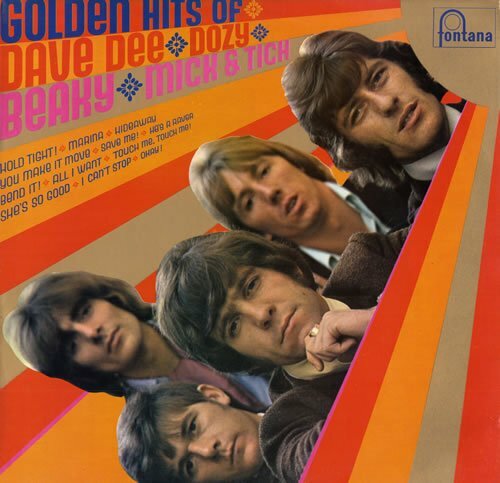 Dozy from the 60’s pop group Dave Dee, Dozy, Beaky, Mick and Tich has died at the age of 70. Trevor Ward-Davies, the bass guitarist and founder member of the band, died in hospital on Tuesday following a short illness. Between 1965 and 1969, the group spent more weeks in the UK singles charts than the Beatles. The flamboyant quintet, named after the five friends’ nicknames, formed in Salisbury in 1961. They first entered the UK charts in December 1965 with You Make it Move. A string of hits followed including Hold Tight!, Bend It! and Save Me and a UK number one single with the whip-cracking Legend of Xanadu, in 1968. Ian Amey, better known as Tich from the band, said: “He was very good fun to be with, a very good friend for many, many years and he will be terribly missed. “He was loveable in a lot of ways, was his own person and did what he wanted to do. In 2009, lead singer Dave Dee died at the age of 65. Of the other band members, guitarist John Dymond, known as Beaky, currently lives in Spain while drummer Michael “Mick” Wilson and Amey both live in Salisbury.